Only open for a short period each year when the ice is sufficiently broken to allow passage. There are several possible routes through the islands but until recently it is thought that most of them are permanently icebound. 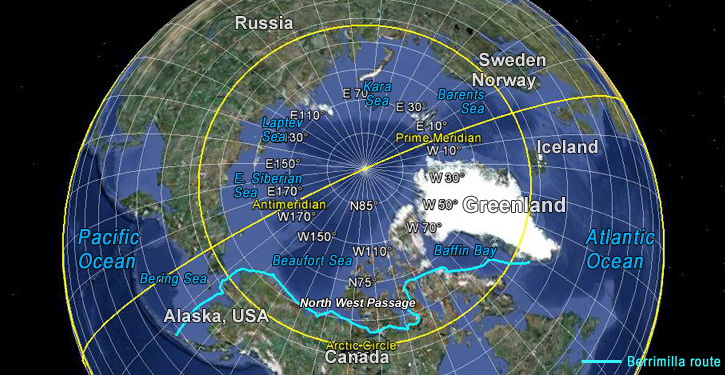 In more recent times Arctic ice coverage is diminishing every year and it is likely that all routes will open during the summer months. 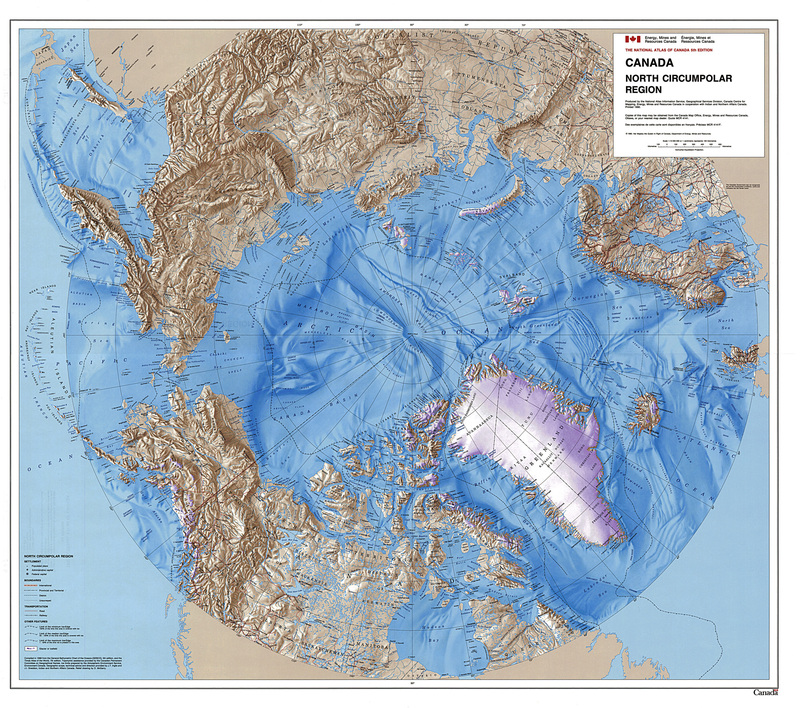 The Northwest Passage knows neither victory nor defeat – it just exists, grimly and sometimes terrifyingly indifferent to our presence, just like the Southern Ocean. We have been astonishingly lucky and the best we can say is that we have negotiated our way through. We made some really good calls on the way, but each could have been disastrous had we been wrong. It has been the most difficult thing I have ever done – makes Cape Horn look like a jolly by comparison. Mysteries of Canada: The Franklin Expedition: What Really Happened? Pat Hahn – whose advice was critical to our getting through the M’Clintock choker and beyond, and to Sue and Megan and Anna for their friendship and hospitality while we were in Nome. Peter Semotiuk – huge and grateful thanks for his voluntary and absolutely essential weather and ice service skeds for boats transiting the NWP. Peter works in Cambridge Bay and completed his own NWP in (I think) 1988 with John Bockstoce and Bonnie Hahn (Pat’s mum – what a family!) in Belvedere, so he knows of what he speaks. Corey Dimitruk in CB for his hospitality and a very noice sleeping bag that’s kept me toasty for the hard bits. Gary Ramos – wow! – for his unstinting and generous help and advice, while at the same time getting Arctic Wanderer back out into the NWP after 3 years in CB. The Amodinos – for their friendship, advice, waterfalls of coffee and mountains of all day breakfast and for diving on Berri’s prop in Tuk. Peter on Tyhina, for his advice and radio relay. 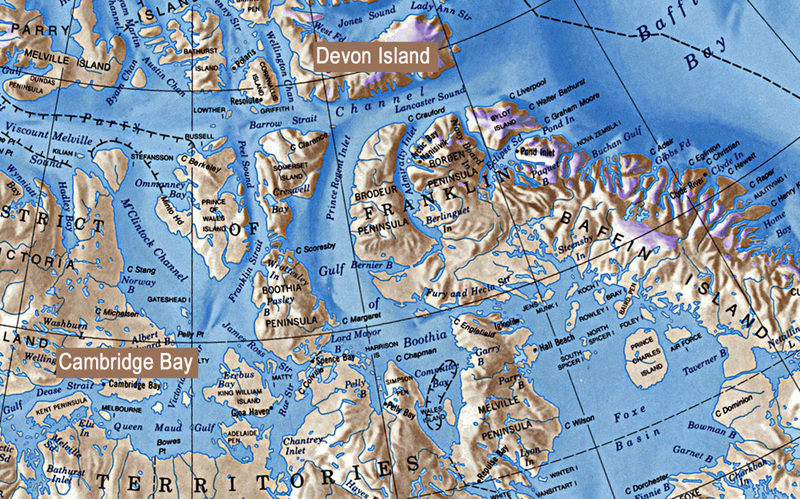 The NW passage has been crossed by only a small hand full of small boats. 25 according to Gary Ramos of the Arctic Wonderer. It includes Amundson’s Gjoa and the RCMP schooner St. Roch. Bockstoce, my brother and I went through in an umiak (32′ open skin boat) in the late 70s and later my mother went through in style in Bockstoce’s Belvedere. (She was the first woman to go W to E) (During the umiak passage 3 of our crew were killed in unrelated off trip accidents and one went insane). Most boats survive whither they make the passage or not, though they do get beat up really badly, or left behind? The coast guard does patrol for supple ships and frequently make rescues. Berri got through without a scratch…not out of the woods yet- knock on wood, cross fingers. Tyhina and Geraldine in Cambridge Bay, I think, and a couple of French boats approaching Cambridge Bay.